I have a morning routine that includes spending a lot of time in the bathroom. Since I spend a lot of time in the bathroom, I like to have the best products available and that includes Cottonelle. They have many varieties of toilet paper available and these wonderful flushable wipes. You can get a coupon to try these wonderful Cottonelle products by clicking HERE. When you are surrounded by the best products, you feel more confident. I want the best products for my bum. I have been using Cottonelle Clean Care toilet paper and Cottonelle Fresh Care Flushable Cleansing Cloths and I feel more confident about my whole body. 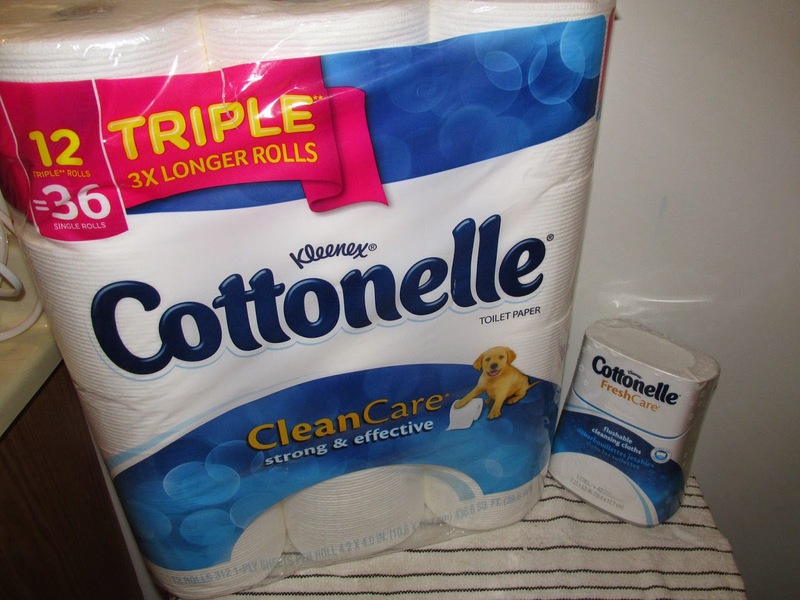 Gottonelle Clean care toliet paper is strong and effective and pairs well with the Cottonelle Fresh Care Claeansing cloths for the ultimate in clean. They are so soft on your bum Feeling clean and fresh throughout the day is a great feeling. I think using a great brand like Cottonelle does just that. I urge my children to use these products, so they stay fresh and clean. And, I like that the Cottonelle Cleansing Cloths are flushable. They are also safe for sewer and septic systems, alcohol free, and great for the whole family. So, just as I use the best products on my face, I want the best products for my bum, as well. So make sure and get your hands on Cottonelle Clean Care Toilet Paper and Cottonelle Fresh Care Flushable Cleansing Cloths and give your bum and treat! Give Cottonelle's wet and dry system a try by clicking on the link below for a money saving coupon. Thank you to Cottonelle for sponsoring today's story and helping me keep my bum clean! Once you've tried dry-wet-dry there's no going back! I have used both products and they work so well together. I can't imagine not using them. Cottenelle is usually more expensve!to me.